Normally, one would think that the story would end there, with the officer going to trial and facing whatever repercussions were deemed appropriate. 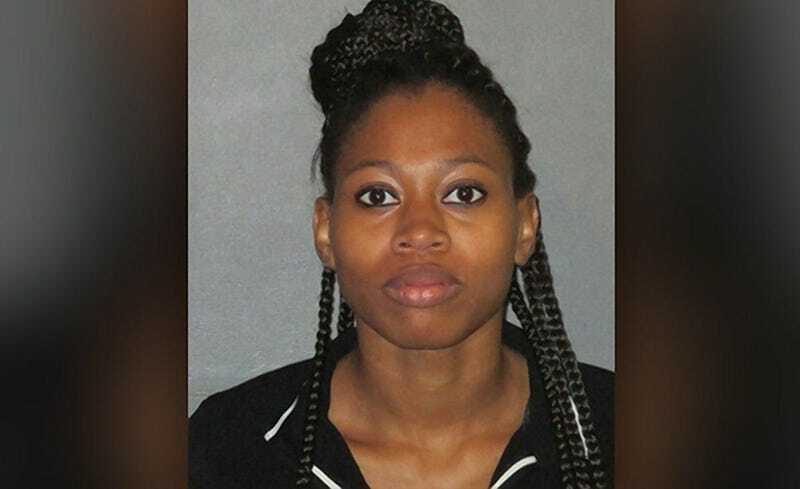 However, this week, according to The Advocate, the child’s mother was also arrested on the exact same charge after police accused her of contributing to the death by failing to properly secure the baby, Seyaira Stephens, in her car seat. She was subsequently booked on one count of negligent homicide and seat belt violation. The three other adults who were in the car with Stephens at the time of the crash were also given traffic citations. McKneely said that more people were riding in the vehicle than seats available. Breea Gross, 18, was driving when the crash occurred and was cited for driving without a license, seat belt violation and three counts of child safety restraint violation. Janice Gross, 40, was cited for allowing an unlicensed driver to drive her vehicle and seat belt violation. Seth Eames, 23, also cited for seat belt violation. The fatal crash occurred around 8 p.m. on Oct. 12, 2017, after authorities say Police Officer Christopher Manuel, driving a Corvette off-duty at 94 mph, slammed into the passenger side of the Nissan, which was carrying a total of four adults and four children. The speed limit in the area is 50 mph. All of the Nissan’s occupants were transported to the hospital for injuries. Seyaira later died. Manuel, 28, was ultimately arrested on Feb. 16 on charges of negligent homicide and speeding. He has been on paid administrative leave since the accident and has been walking free after posting $15,000 bail on the day he was booked. Baton Rouge police say that a blood test showed Manuel was not impaired at the time of the crash. Stephens has since also posted her $3,600 bond and was released from jail by Wednesday morning.